Poolsaic™ offers unique solutions that give any event a memorable edge. Find out more about what we can do for your special event. We offer custom solutions for marketing and event promotions. What size / how big can they be? Does the pool need to be drained? No. 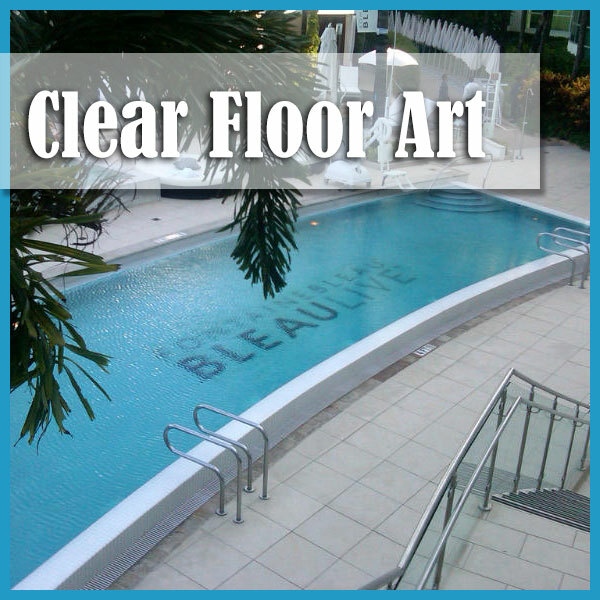 Pool floor mats form a vacuum cling to smooth, flat pool surfaces and are designed to install while the pool is full of water. We do not provide mockups, however there are printer templates available for you (or your art department) to place the artwork exactly as it will appear on the poolmat, which you can use to provide the client with your own mockup. 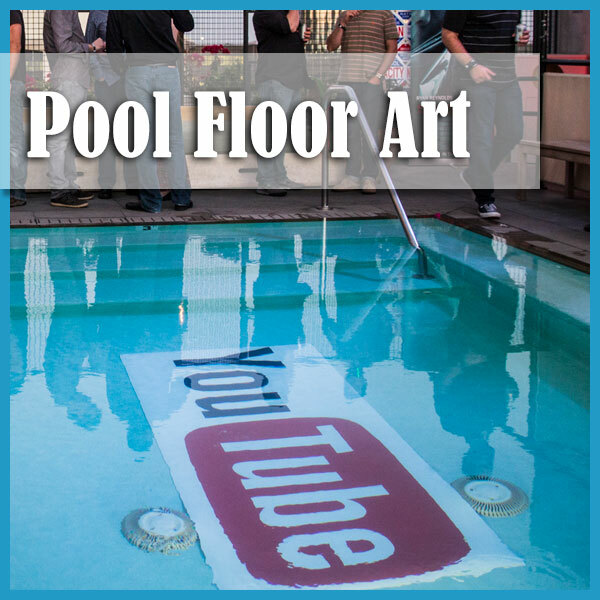 Temporary pool floor graphics are printed on a heavy material that stays in place by a combination of weight and hydraulic cling technology. Extra large floor graphics (anything bigger than 5' x 20') can take longer. View our custom options here. How do I install temporary floor graphics? It's very easy. Just unroll, sink into the pool and apply pressure to flatten them out. More detailed instructions can be found here.